Halloween has arrived and it’s time to celebrate this ghoulish holiday…at home! 1. 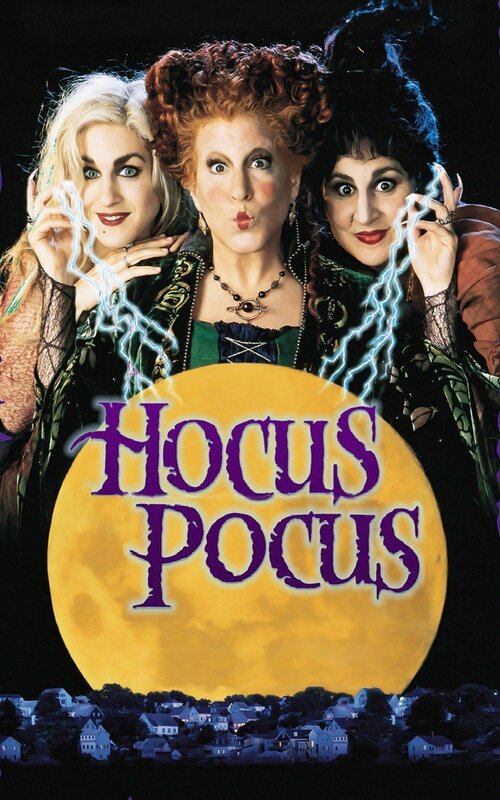 Hocus Pocus – This one is at the top of my Halloween movies to watch because it’s a childhood favourite that my sisters and I grew up with. If you’ve seen it you’re probably already singing, “BOOooOooooOOK!! !” The movie was made for kids of course so it’s not actually scary, though some parts were actually creepy as a kid (I’m thinking the opening scene and the eerie song). 2. The Nightmare Before Christmas – I don’t think I need to explain how incredibly awesome this Tim Burton creation is. Just like Hocus Pocus, it’s a childhood fave and one that I still watch every year. I like to sing along and I find Jack so endearing. Oh and if I don’t watch this at Halloween then I usually end up watching it at Christmas – can’t go wrong with The Nightmare Before Christmas. 3. Psycho – The first time I watched this 1960 Alfred Hitchcock classic I was in high school and I remember liking it a bit (even though at the time I insisted most black and white movies were boring). I watched it again (this time as a more cultured adult) and couldn’t believe how well made this movie was! I was thoroughly creeped out and at times filled with so much anxiety and suspense. Be sure to shower before watching Psycho. 4. The Shining – When I was coming up with this list of movies I didn’t immediately think of The Shining because I like to watch this movie ANY time of the year, not just Halloween. But if you’re looking for suspense, crazy stuff, creepiness, and Jack Nicholson, then I definitely recommend The Shining. There are some things about the movie that I still think about and find myself interpreting in different ways. 5. Ernest Scared Stupid – Another childhood favourite, do you see the trend here? Sorry if you were looking for slasher flicks! 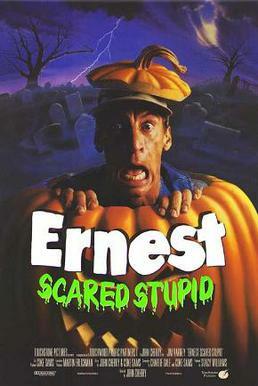 But if you’re a fan of the silly Ernest movies you’ll probably enjoy Ernest Scared Stupid. Of course if I was still a child I would go out trick or treating but I’m apparently too old to do that now. So, aside from Jay buying a box of Halloween candy, I made a small batch of Halloween sugar cookies! I used ghost and pumpkin shaped cookie cutters that my Mom gave me years ago. 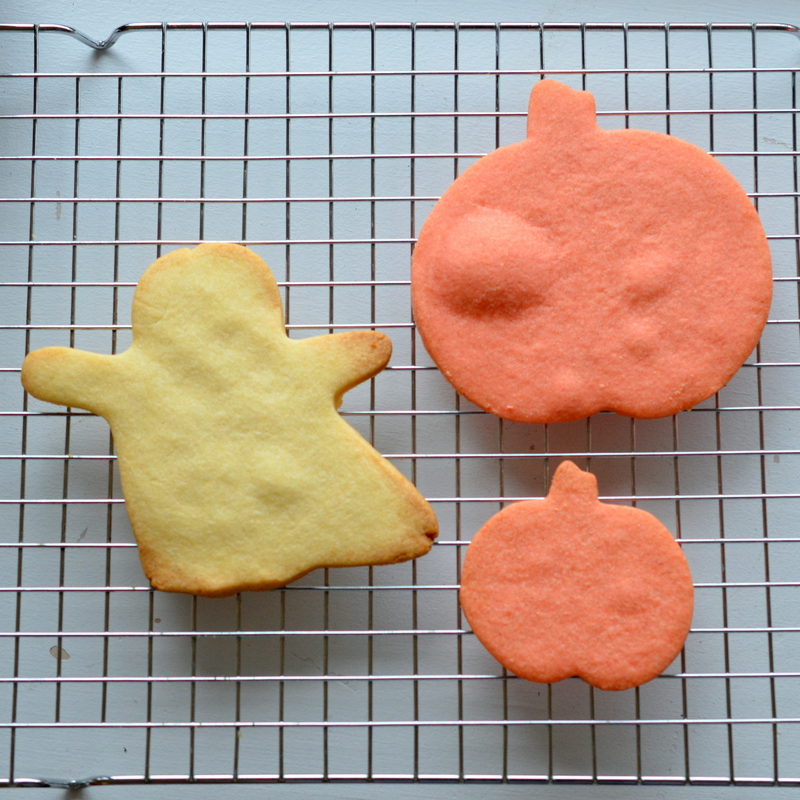 I didn’t decorate the cookies other than add food colouring to half the dough (for the pumpkins). For the recipe I used Alton Brown’s Sugar Cookie recipe. As you can probably see I left the ghosts in the oven a little too long (and what’s up with the bubbles on the pumpkins?). Also, for the pumpkins I added some pumpkin spice using the spice mix at the bottom of this pumpkin cake recipe by Savory Simple, which by the way is amazing! And last but not least I am crocheting something that has nothing at all to do with Halloween but with the coming cold winter months. I am making a pair of slipper boots I found on Pinterest. They look so thick and warm and very durable. You can find the pattern here on SMP Craft. How are you celebrating Halloween? Going out or staying in? In either case Happy Halloween! !